A Female IndiGo employee, belongs to Assam allegedly committed suicide at Gurugram guest house. 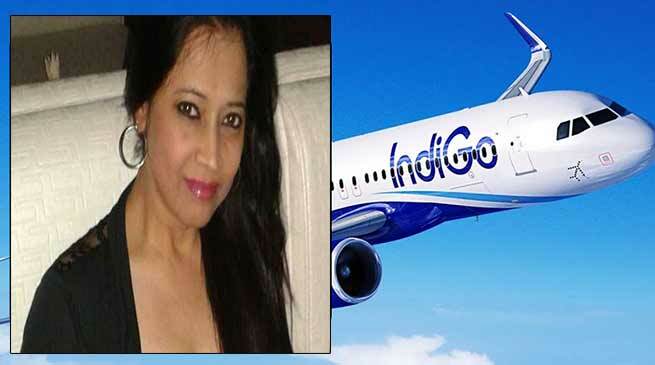 A female employee of IndiGo Airlines allegedly committed suicide at a guest house in Gurugram’s Sushant Lok on Thursday night. The deceased was identified as Mausumi Gautam, who was a resident of Assam’s Guwahati. The 35-year-old had come to Gurugram for a training programme and was found hanging from a ceiling fan at the guest house. A police investigation has been initiated in the matter; however, no suicide note was recovered from the spot. A case has been filed as part of the ongoing probe. The Airline issued a statement over the matter expressing grief over their employee’s demise. “We are saddened to hear about the unfortunate passing away of our colleague in Gurgaon this morning. At this point, our thoughts and prayers are with her family and loved ones,” IndiGo said in a press statement. The autopsy will be conducted on Saturday.